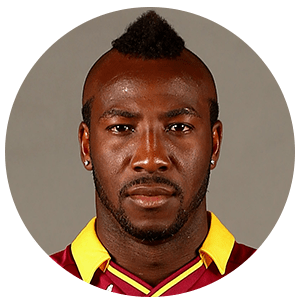 Andre Dwayne Russell (born 29 April 1988) is a Jamaican cricketer. 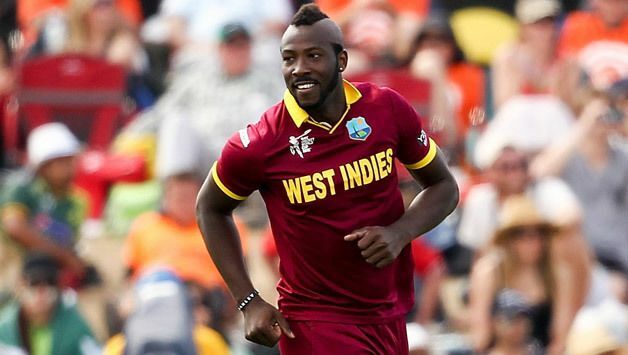 Russell plays for the West Indies internationally and for Jamaica in West Indian domestic cricket, as an all-rounder.Widely regarded as the biggest hitter of the cricket ball, Russell has hit a century in 42 balls (3 fours and 11 sixes in Caribbean Premier League vs. Trinbago Knight Riders). He bats predominantly in the middle order for the West Indies. Russell has a unique style of batting. He uses his feet as a support to use the ground at its fullest. He comes under the bounce of the ball and dispatches it. He is a big hitter on the leg side and likes to hit powerful shots down the ground. In the season 2010 he played at Barnards Green Cricket Club, Worcestershire, England, helping them secure promotion from Worcestershire Cricket League into Birmingham League cricket. He took 39 wickets at an average of 10.15. He also led the averages with his batting, hitting 799 runs in 11 innings at an average of 99.88 (3 NOs). After a poor home series against Pakistan, he made his mark against in the ODI series against India. After being dropped from the first two ODIs, he scored 92 not out off 64 balls (8 fours, 5 sixes), coming to the crease at 96/7 in the 3rd ODI at Sir Vivian Richards Stadium in North Sound. He had a 78-run partnership with keeper Carlton Baugh (36 off 73 balls) and then an unbeaten 51-run partnership with Kemar Roach (7* from 10) to help West Indies reach 225/8. He took 1/59 (the wicket of Harbhajan Singh, 41 off 64 balls), affected the run-out of Subramaniam Badrinath and took a catch at backward point to dismiss Parthiv Patel (46 off 56 balls). Despite his all-round efforts, India won with 22 balls to spare. In the 4th ODI played also at North Sound, he scored 25 from just 14 balls (3 fours, 1 six), and with the ball had figures of 3/16 (from 7 overs, wickets of Subramaniam Badrinath, Ravichandran Ashwin and Praveen Kumar) to dismiss India for 146, as the visitors lost by 103 runs. In the 5th ODI at Sabina Park in Kingston, he became the Man of the Match as he took 4/35 (from 8.3 overs) to dismiss India for 251 in 47.1 overs. In 2014 he began a second career as a recording artist under the name 'Dre Russ', with two singles set for release in November, one a collaboration with Beenie Man. 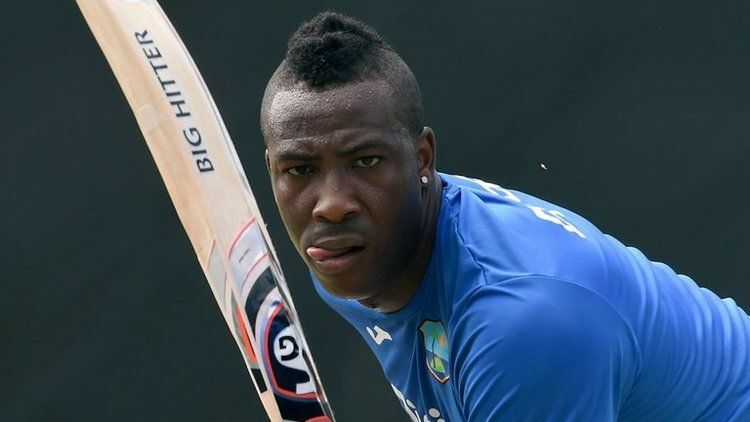 Andre Russell is a key batsman or pinch hitter for scoring runs for KKR. In 2016 IPL he was the highest wicket taker from the team and his best score was 40* vs Rcb(1 four and 4 sixes).He has a consistent strike rate of179.9. On August 6, 2016, Andre Russel scored fastest Caribbean premier league century. He completed his century in 42 balls. His blitzkrieg contained as many as 11 sixes. 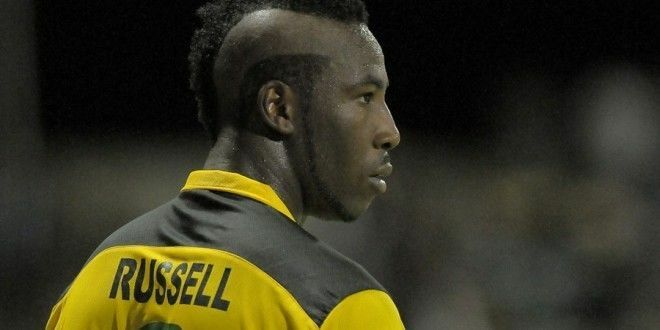 According to the Jamaica Anti-Doping Commission (JADCO), allrounder Andre Russell committed an "anti-doping whereabouts" violation, and could face a lengthy ban from cricket. 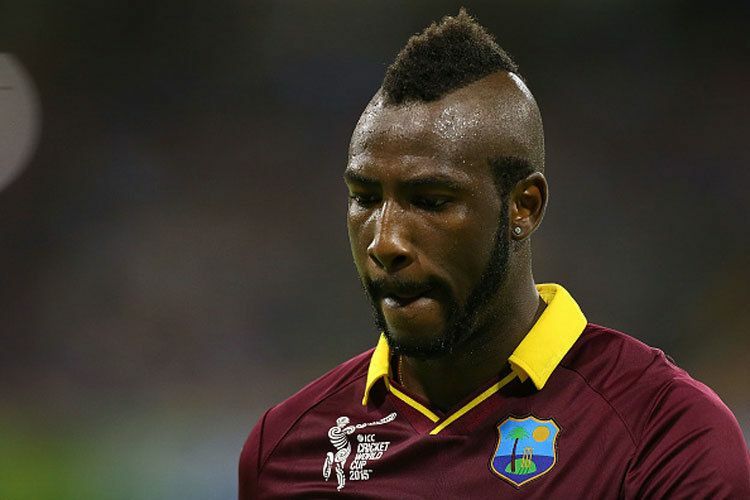 Russell, being a part of the West Indies squad for the World T20 2016, has reportedly missed three such tests in a 12-month period, which equates to a failed test under doping laws. "We received notification of Russell's violation about two weeks ago and I've appointed a panel to hear his case," JADCO independent disciplinary panel chairman Kent Pantry told Reuters. Athletes must make their whereabouts known to local anti-doping agencies to facilitate testing. Russell could face a possible two-year ban if found guilty of the violation. 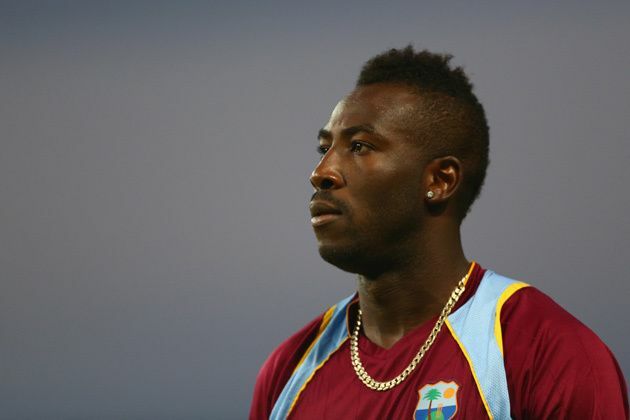 "There is a process regarding the findings by JADCO," the West Indies Cricket Board said in a statement. "All that will be observed and you will be advised accordingly." On 31 January 2017, Russell was banned from cricket for one year.